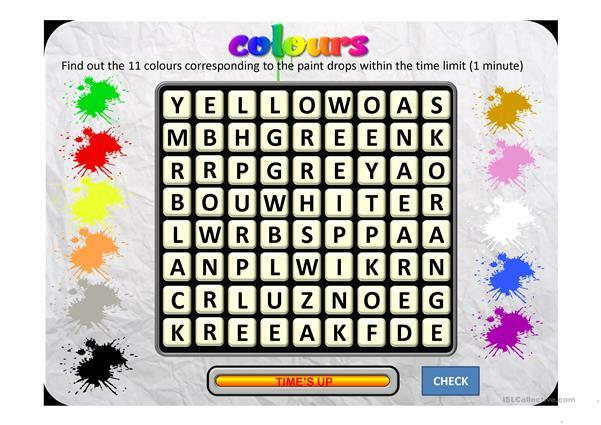 This interactive Powerpoint presentation is a wordsearch on colours. The students have to find out the words corresponding to the paint drops in 1 minute. Hope you like it. The present downloadable teaching material is meant for high school students, elementary school students and students with special educational needs, learning difficulties, e.g. dyslexia at Elementary (A1), Pre-intermediate (A2) and Intermediate (B1) level. 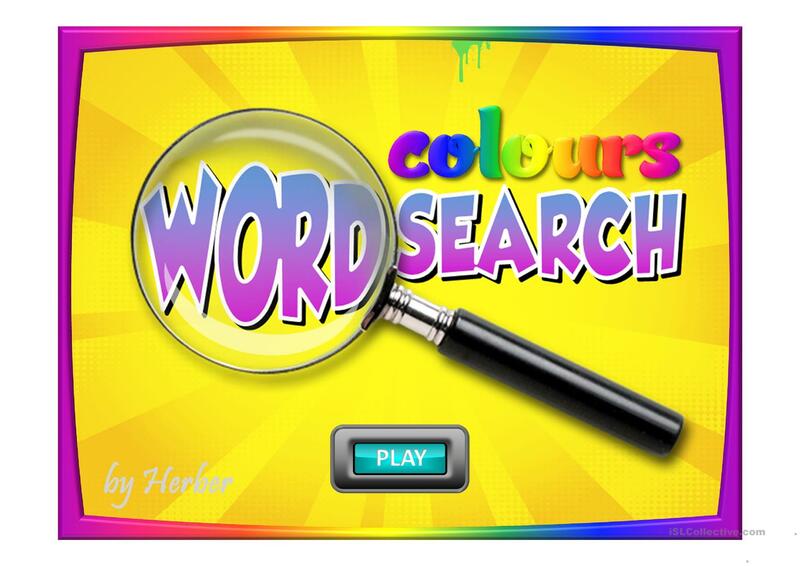 It is great for practising Adjectives in English, and is useful for developing your class' Spelling and Reading skills. 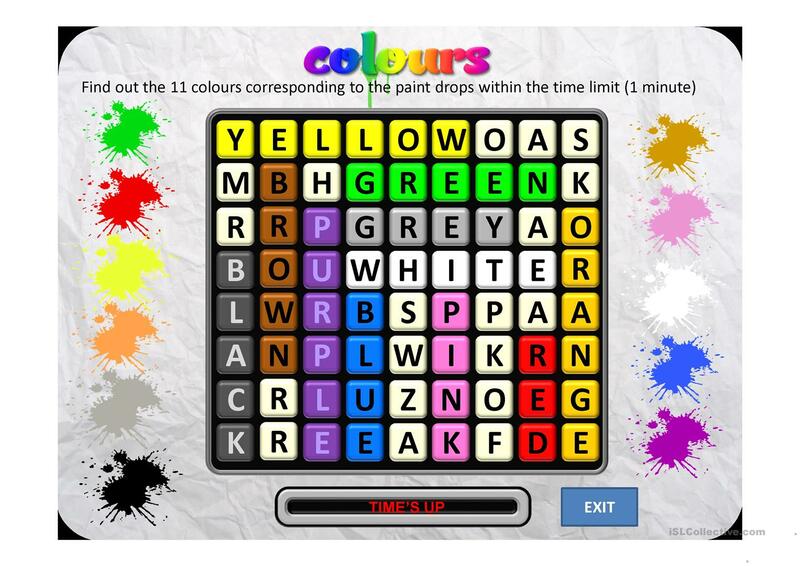 It is about the topic and words of Colours. The exercises come with the solutions.